I have always had a love of Limoncello (and of tiramisu for that matter) – particularly after a fantastic holiday in Sardinia with my now husband. I have great memories of getting a bit tipsy on the sweet, tangy, sticky loveliness that is limoncello. The perfect way to finish off a delicious meal. Seeing as we’ve just got married and spent a wonderful few days in Venice on our honeymoon, baking something from Italy was the obvious choice to start my blog – all those happy memories rolled in to one delicious feast! I found loads of recipes for tiramisu that included limoncello, so I mixed a few of them up and ended up with what I think is a deliciously zingy, addictive, surprisingly light, but still rich, and ever so slightly alcoholic pudding. Enjoy! 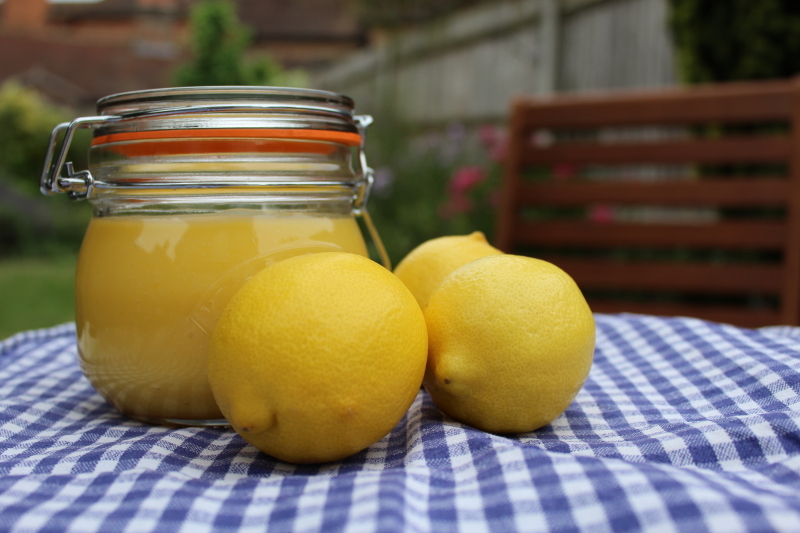 Lemon syrup: Add limoncello, lemon juice and sugar to a saucepan. Bring to the boil, stirring to dissolve the sugar. Simmer for 5 minutes and then leave to cool completely. Filling: In a large mixing bowl, beat together the limoncello, lemon curd, mascarpone, sugar and lemon zest until combined and no lumps. Add the cream and beat until fluffy – this takes a couple of minutes with an electric hand mixer. To assemble: Spread a couple of small spoonful’s of the filling on to the bottom of your dish. I used a dish about 27cm x 24cm in size, which just fitted 8 biscuits per side. Dip the biscuits quickly in the lemon syrup (you don’t want them really soggy or they’ll break up) and arrange in the dish. Cover with about half of the remaining filling. Repeat the process, ending with the filling. Leave in the fridge for at least 2 hours, or overnight to let all the lemony magic happen! Garnish with lemon zest and tuck in! Put the lemon zest and juice, sugar and butter (cut into cubes), into a heatproof bowl. Set it over a pan of simmering water, don’t let the bowl touch the water. Stir with a whisk from time to time until the butter has melted. Mix the eggs and egg yolk lightly with a fork, then stir into the lemon mixture. Let the curd cook, stirring regularly with a whisk, for roughly 10 minutes, until it thickens and is a bit like custard. It should feel heavy on the whisk. Remove from the heat and stir occasionally as it cools. NB. I passed mine through a sieve as there were a few bits of egg white that hadn’t mixed in properly, which was a shame as it meant I lost the zest, but it still tastes yummy. Pour into spotlessly clean jars and seal. It keeps for a few weeks in the fridge. Tiramisu means ‘pick me up’, referring to the caffeine and cocoa it contains. However, it’s also reported to be because it’s so delicious that it makes the person eating it swoon, prompting a request to be ‘picked up’ from the floor. I like the second version! Limoncello is apparently made using lemons the size of grapefruits, with inch thick skins! The origins of limoncello are a bit vague – some believe it was first introduced in the 1600s by southern Italian nuns, whilst others claim peasants and fishermen drank the lemony liqueur to stave of colds in winter. The most reported story is that an innkeeper in Capri (Vincenza Canale) served it to her guests after dinner in the late 1800s from a family recipe, and the Canale family then registered the trademark ‘Limoncello di Capri’ in 1988.